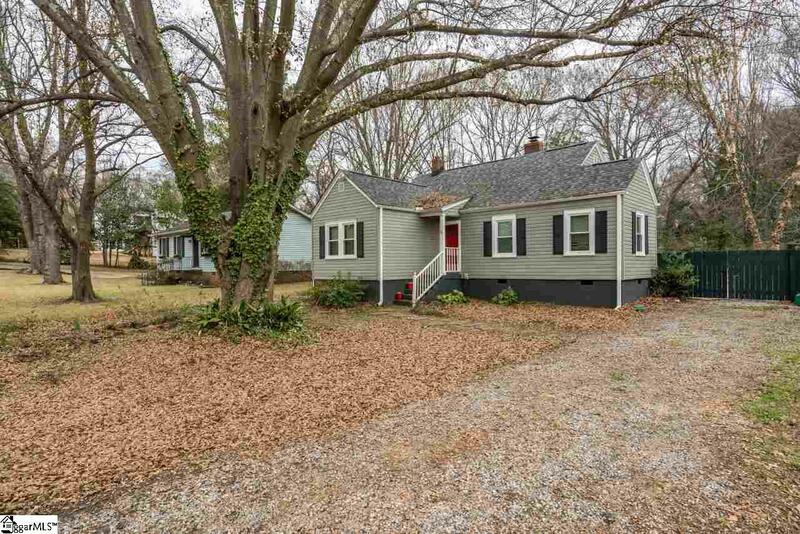 Excellent opportunity to own a home in downtown Greenville's Overbrook Historic District. For the Fixer Upper in you, a Renovation loan would be perfect and gain you instant equity when you are done! 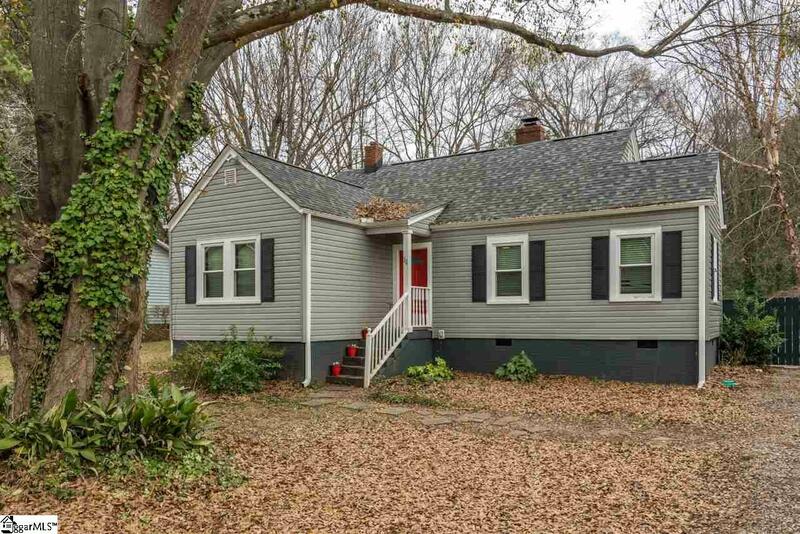 This 2 bedroom, 1 1/2 bath home has had all big ticket items updated in the last 2 years including: vinyl siding, architectural roof, HVAC, mostly new windows, light fixtures, ceiling fans and shaker style kitchen cabinets. Other features include: hardwood flooring, a gas fireplace (not operating), separate office/dining/flex room and more. The 1/4 acre lot has mature trees and a large fenced in backyard. 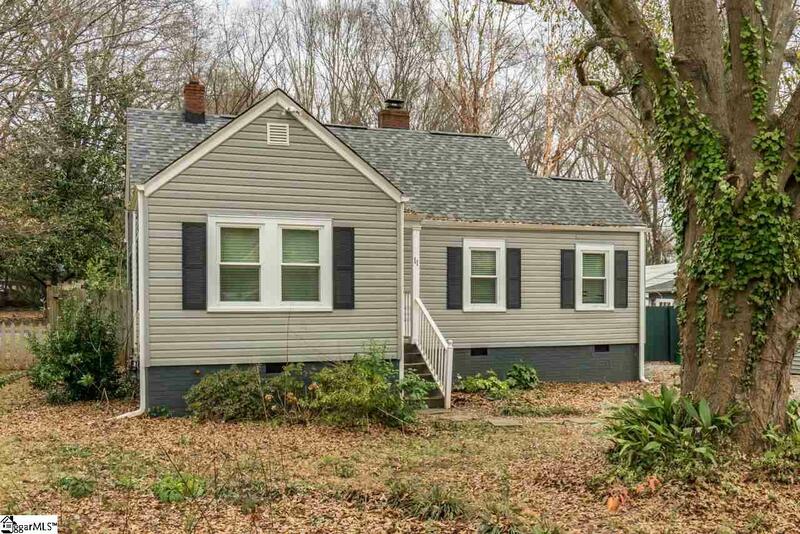 This is a great investment opportunity to finish the upgrades for the interior that the Seller couldn't get to, as he is being relocated for a job out of town! Add your personal touch and have instant equity based on the location! The Floor plan has TONS of flexibility! 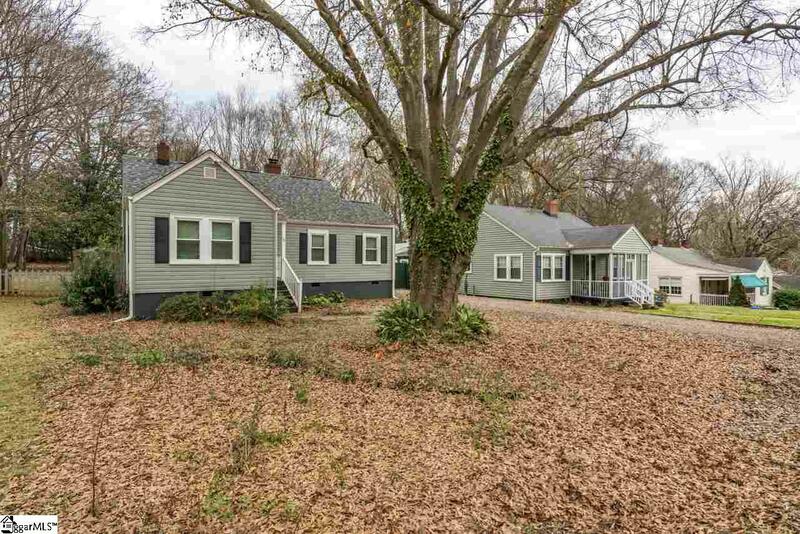 Opportunity to buy for Less than list with an As-Is Purchase.